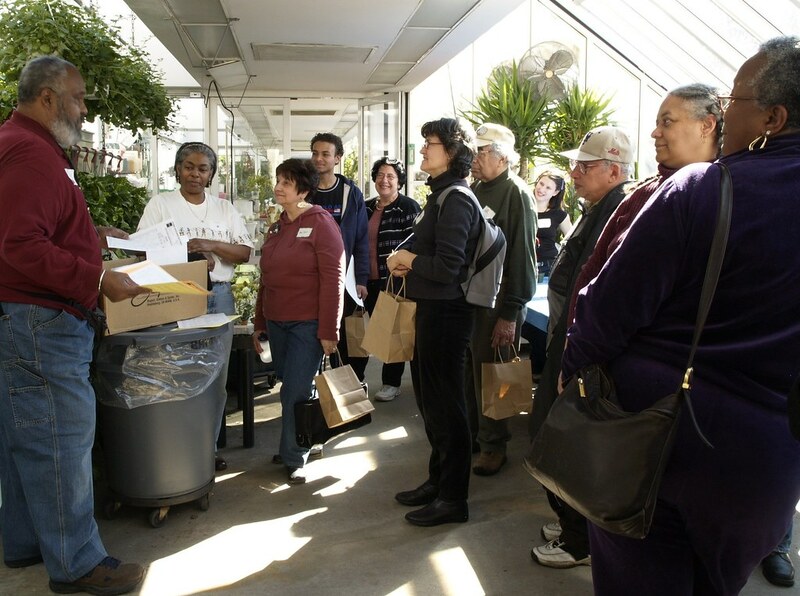 The NYC Compost Project hosted by Brooklyn Botanic Garden provides compost outreach education to New York City residents, institutions, and businesses. Part of a citywide program created by the NYC Department of Sanitation’s Bureau of Recycling and Sustainability, the NYC Compost Project helps to reduce waste in NYC and rebuild city soils by giving New Yorkers the knowledge, skills, and opportunities they need to produce and use compost. 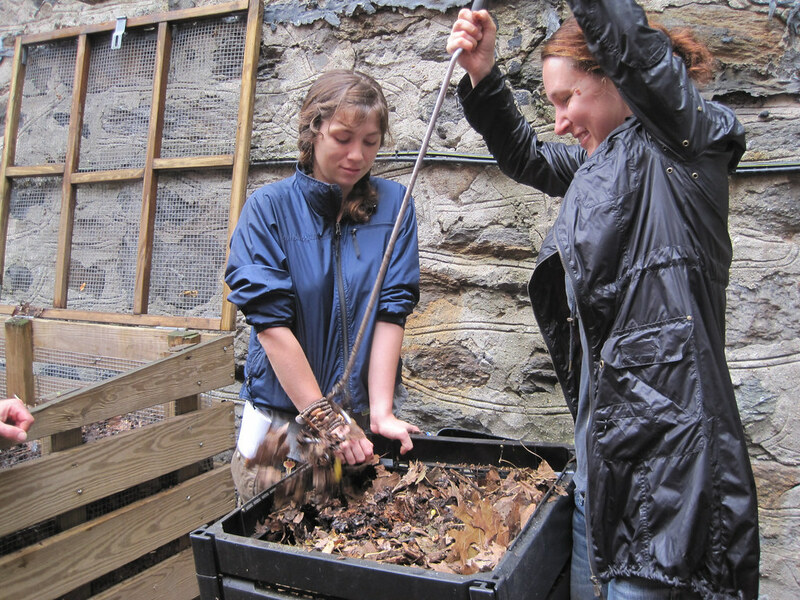 Master Composter trainees demonstrate aerating a compost bin. Photo by Jenny Blackwell. Leonard Hodges leads workshop on starting from seeds at Making Brooklyn Bloom 2010.